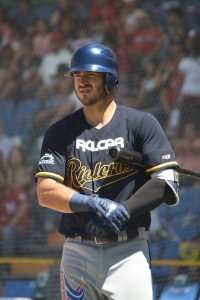 The Rieleros (Railroaders) de Aguascalientes (2-1) defeated the Bravos de León (1-2) 15-9 at Estadio Domingo Santana in León on April 7. After an excellent start by RHP Yasutomo Kubo in the season opener, the Bravos have given up 37 runs in their last two games. The Bravos led this game 6-4 going into the seventh inning, but the Rieleros put up ten runs in the top of the seventh. The inning started with RHP Normand Mendoza on the mound. He gave up a three-run home run by DH Saul Soto. He was replaced by LHP Marco Ramirez, who walked the only batter he faced. The next pitcher was RHP Tony Amezcua, and he was greeted with a two-run home run by 3B Jose Vargas. Amezcua walked the next two batters, then a run scored on a single by RF Edson Garcia. That chased Amezcua, and he was replaced by RHP Fredy Quintero. Quintero struck out the first batter he faced (he had an ERA of infinity coming into the game), but the next batter, SS Richy Pedroza, hit a two-RBI single. 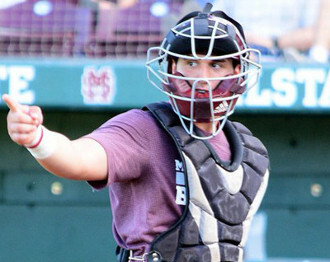 He was followed by 2B Michael Wing, who hit a two-run home run, his second hit of the inning, and second home run of the game. Quintero gave up another home run, by Vargas, in the eighth inning. 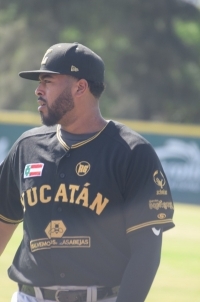 The Tigres de Quintana Roo (Cancun) (16-26) defeated the Bravos de León (20-20) 12-4 at Estadio Domingo Santana in León on August 19. The win competed a series sweep for the Tigres, and the Bravos have lost four straight. RF Ruben Sosa had a big day for the Tigres: 4-for-5 with three doubles, an RBI (on a sacrifice fly) and a run scored. The Tigres started with two cheap runs in the top of the first. Sosa led off with a double, but the ball got from the outfield to second base well before Sosa did. However, the second baseman mussed the tag. Sosa then went to third when the Bravos failed to complete a double play. He then scored on a passed ball. Bravos starter LHP Carlos Teller then walked the next two batters, loading the bases. The next batter, C Francisco Cordoba, hit a ground ball to third base, and the third baseman threw to second for the force out. The call on the field was out at second, but the called was reviewed and overturned, allowing a run to score. 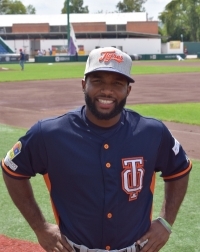 The Tigres got a double play in the bottom of the first, but with the bases empty, RF Quincy Latimore hit a double (Sosa just missed a sliding catch on the right field line) and scored on a single by CF Cedric Hunter. 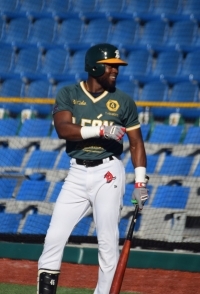 The Bravos de León (10-6) defeated the Algodoneros (Cotton Farmers) de Unión Laguna (7-11) 10-8 at Estadio Domingo Santana in León on July 22. This was the Bravos' sixth straight win, and they are in first place in the South Division of the Mexican League. 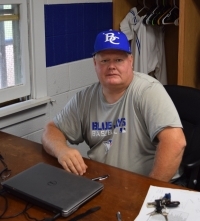 The game was scoreless for the first three innings, with the Bravos getting a double play in the top of the third inning, and leaving the bases loaded in the bottom of the third. The shutout ended with an RBI single by 3B Eudor Garcia in the top of the fourth, and his single loaded the bases with nobody out. Bravos starter RHP Eder Llamas struck out the next batter, and the following batter hit a ground ball that resulted in a force out at home. 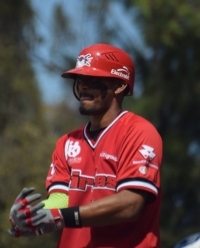 Llamas was relieved by RHP Marco Quevedo, and he was greeted by a grand slam home run by CF Jonathan Jones. The Algodoneros added another run in the top of the sixth on an RBI single by C Daniel Mercado. They led 6-0 going into the bottom of the sixth, and it looked like the Bravos' winning streak was coming to an end. 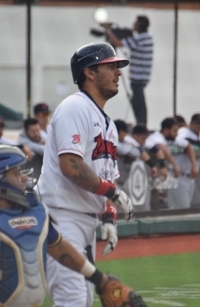 The Leones de Yucatán (Mérida) (40-17, first place in South Division) defeated the Bravos de León (27-29, fourth place in the South Division) 6-4 at Estadio Domingo Santana in León on June 3. The win gives the Leones a 3-1 lead in the best-of-seven first round playoff series. This game was almost all Leones until the eighth inning. They jumped on Bravos starter RHP Dustin Crenshaw for two runs in the top of the first inning. CF Ruben Sosa led off with a single, then stole second base. (The Leones stole three of them.) He scored on a double by DH Luis Juarez, and Juarez scored on a double by LF Jesus Valdez. They added two more runs in the third on a home run by 1B Art Charles Jr. The Bravos originally thought they got out of the third with a double play, but the call at first base was reviewed and reversed; RF Leo Heras was safe at first. However, he was then caught stealing to end the inning. Crenshaw made one of the better defensive plays of the game in the top of the fourth, when he caught a hard-hit line drive by SS Everth Cabrera. 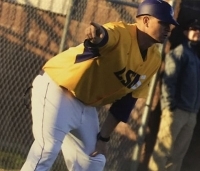 The shutout ended in the bottom of the fourth when 2B Niko Vasquez hit an RBI single. 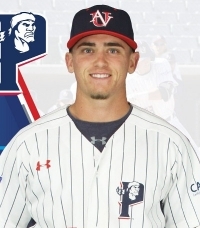 However, CF Junior Lake, who reached on a double, also tried to score on the play, and was out on a close play at home, on a throw from Heras.